The Spanish take hunting for mushrooms seriously, very seriously. 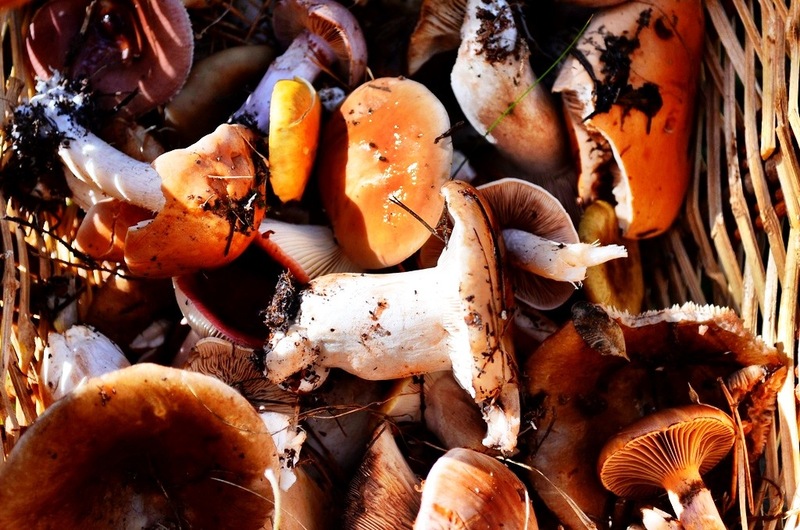 Finding the perfect edible fungi is a well-honed skill and the best places to hunt for the ‘shrooms are secrets often passed down through families. There’s even a reality TV show, The Mushroom Hunter, that follows the exploits of master mushroom gatherers. 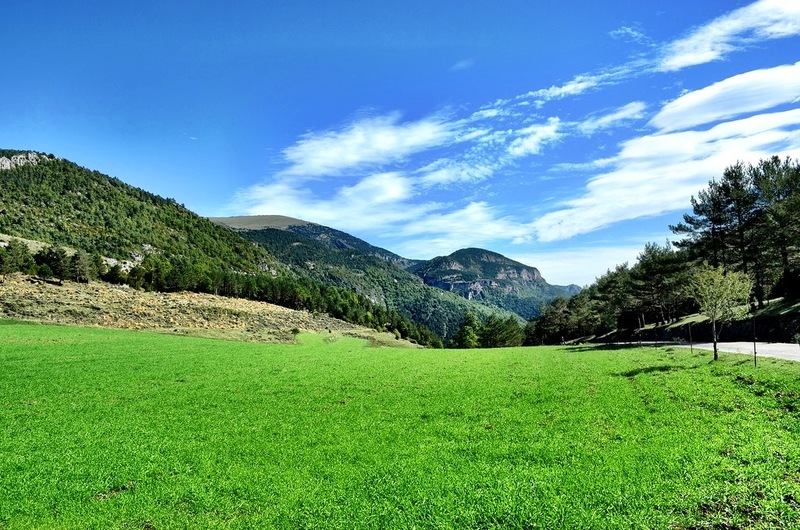 Nowhere is this passion better seen though than high in the Pyrenees in the village of Gombrèn. It was still breakfast time when we arrived at Xesc Rovira’s cafe. Chef Rovira is also the Michelin starred culinary genius behind the restaurant Fonda Xesc, located in Gombrèn. Coffees and some of the best chocolate croissants ever produced awaited our arrival and we sat munching the delectable pastries as we learned more about the impending mushroom adventure in the mountains. Armed with little knowledge and a little too-cute mushroom hunting baskets, we left behind the warm embrace of the cafe and prepared for battle against the mushrooms. The vans deposited us in the middle of a mountain farm, next to sprawling forests and what I was told is prime mushroom hunting terrain. The chef was concerned though; there had been little rain all summer, a necessary ingredient for fungal growth, and he didn’t think we’d find very many mushrooms. Given a challenge I’ll always try to succeed, especially when it’s a competition and after taking a few gratuitous photos of mountain cows, I dove in the shadowy woods to make my mark as a mushroom hunter. The first problem I encountered as I lumbered (or perhaps loped) around the steep hills of the forest was that I had no idea for what I was searching. I understood the basic premise, find mushrooms, but very few species of mushrooms are actually suitable for cooking. Many more are without taste and therefore the chef had no interest in them and of course a few are even deadly. I was determined though and my heart started racing when within just a few minutes I had found my first mushroom. It wasn’t pretty, but mushrooms aren’t supposed to be pretty, right? It was smallish and brown but I was proud of it and plopped it into my basket, hoping it wouldn’t be alone for long. And it wasn’t. 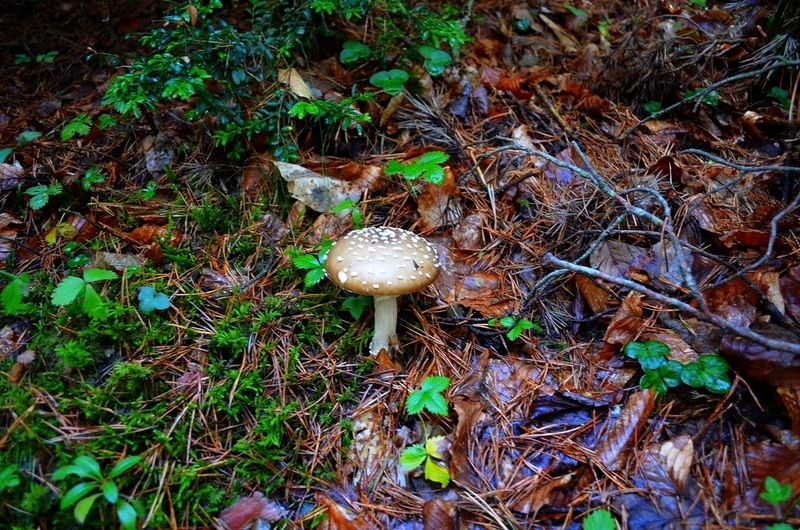 Within the hour I had found countless types of mushrooms, large and small, colorful and dull. There were a few I found which I decided not to pick including, luckily, one that was poisonous and probably would have sent me to the hospital just for picking it. Laziness – 1, Deadly mushroom – 0. 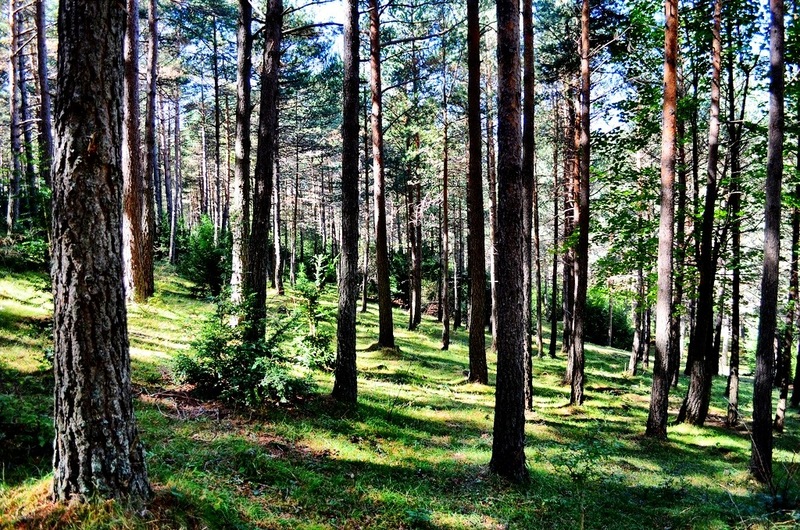 While the hunt was enjoyable, the quiet solitude of being in the forest was even better. Even though there were a dozen or so fellow hunters around me, I never heard nor saw them and instead was left in a state of perfect pastoral peace. Birds chirped and the gentle clanging of cowbells could be heard in the distance. (More cowbell!) Bright sunlight filtered through the tree branches dappling the peaty forest floor. Being outside, breathing in the rich and complex mountain air is an antidote against stress, angst and worry and something I needed badly, whether I realized it or not. Maybe this is what really drives the mushroom hunters, more than the promise of finding the perfect fungal food; it’s the chance to be alone, outside in nature. These visions of woodland grace were cast aside though when it came time for the master chef to evaluate our baskets of mushrooms. I went first, proud of my overflowing basket of obviously delicious culinary treasures. 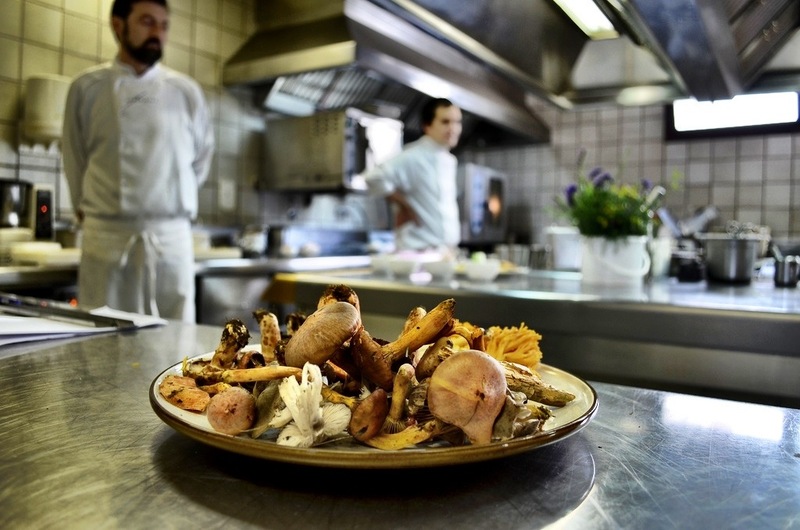 I was mentally calculating how much to charge the chef for these expensive treats when I noticed he had cast aside all of my mushrooms without care, all except for two. A brief conversation in Spanglish soon made it clear that I indeed was terrible at mushroom hunting. Out of the pounds, yes pounds, of mushrooms I had collected, only two, teeny tiny mushrooms were considered good enough to eat. Wow. I hadn’t expected to fail so epically, and grabbed my basket and precious mushrooms with a certain level of dejection and wandered back through the forest and glen with the group. No one, except for the chef, had much luck that morning. As I learned being a good mushroom hunter isn’t just about showing up, it really is a well-honed craft. You have to know a lot about mushrooms, where and how they grow and little tricks of deception nature likes to play. Unlike me, you should also know which ones aren’t deadly as I really did dodge a very close bullet by not picking what I thought looked like a cute Smurf house. From that moment on, whenever a plate of well seasoned and expertly cooked mushrooms were presented to me in Spain, I smiled with understanding. Mushrooms just aren’t a nice complement to a meal in Costa Brava or the Pyrenees; they’re a way of life and represent a certain connection to the land totally unique to this area of Spain. As long as you know enough to avoid poison ones of course. 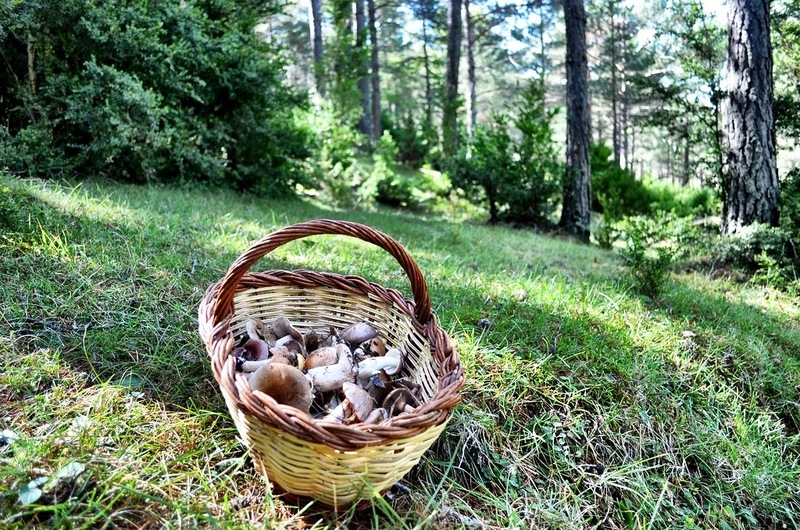 We’ve been mushroom hunting in France and Italy. It’s so much fun and so satisfying to cook and eat them afterwards. Hey Matt, great article. I am from Santander and don’t know anyone in the area who hunts for mushrooms. I wish I knew because I love them and the Cantabria area is probably very suitable for them. Since my knowledge of mushroom picking is none, I guess I’m better of buying them at the store.